The Undertones formed in 1975 in the city of Derry when a group of young school boys shared their love for music. The band would practice everyday in their livings rooms, bedrooms and even in a garden shed. With so much hard practice their efforts would soon pay off. Describing the sound of The Undertones would always prove difficult for many, some stated they were post-pop-punk with others saying they were simply Irish Rock but one thing that cannot be debated is their music has a very distinctive sound. With songs such as Runaround (She’s A), I Know A Girl, and their famous Teenage Kicks they were unlike no other band on the music scene. Doing what they loved best, playing music, they spent all their free time practicing after school and listening to their favorite records escaping the reality of the troubles in the north of Ireland. Their first performances was in Youth Clubs playing in front of young children and teenagers but this would be the start of creating a cult following. As time marched on they started playing in pubs around Derry with the Cashba being a popular venue for the band to appear in. In 1978, independent Belfast label Good Vibrations recorded and released their debut EP called ‘Teenage kicks’ which today is still their biggest hit. The late BBC Radio DJ, John Peel, said he cried when he first heard the song which led him to promote it heavily on his Radio show in the UK. John Peel was a highly respected music DJ in the UK and nominated the track as his all-time favorite recording. 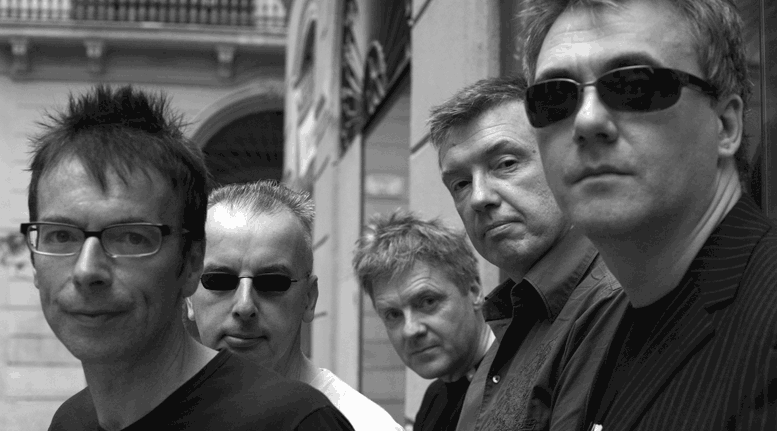 With the help from John Peels radio coverage of ‘Teenage Kicks’, The Undertones landed a five-year recording contracted with Sire Records who re-released the song. By 1979, the band leaped into Top 20 Charts with another great song, Jimmy Jimmy. And again with My Perfect Cousin reaching number 9 in the charts and Wednesday Week at number 11. As they continued to write and perform songs, their cult fan base grew bigger and became known as the as the Rocking Humdinger Club. The rough, tight chunky sound of The Undertones is also what gives their music such a kick that is loved by many. It wouldn’t be fair to say that one member was a better performer than another as each of The Undertones brought a unique sound to the music table and offered their own influences into the creation of each song. Unfortunately in 1983 the band split. Their lead singer, Fergal Sharkey, went solo and became internationally known for his hit “A Good Heart” . The O’Neill brothers formed That Petrol Emotion with a singer called Steve Mack. They had released 6 albums from 1985 – 1993. After That Petrol Emotion John O’Neill went onto perform in a band called ‘Rare’, after a number of a singles and only one album the band decided to call it a day. In the late 1990’s rumors started that The Undertones were to be reunited. After so many years some people dismissed the idea, how could they perform without the unique vocals of Fergal Sharkey? In stepped Paul McLoone, a member of another popular band called The Carolines. McLoone’s voice and show-man-ship would soon prove The Undertones were back in full force. They decided to reunite for fun playing one or two gigs. The fans reaction were nothing but positive but their come back would also attract a newer younger auidence. Today they are performing stronger than before travelling the globe and packing out venues.